If you or someone you love have been pulled over for Speeding, Driving While Suspended, Reckless Driving, Leaving the Scene of an Accident or Driving While Intoxicated, or if you have been arrested and charged with with Shoplifting, Simple Assault, Harassment, Drug Possession or any other criminal offense, call the law firm of Proetta & Oliver. Our firm handles all criminal and traffic offenses under New Jersey law and our team of trial attorneys consists of former New Jersey Deputy Attorney General who prosecuted cases on behalf of New Jersey. Our years of experience not only handling complex criminal cases but also building relationships with our clients has crafted our unique client-focused approach to the practice of law. For more information on how we can help you or your family member in there time of need, please do not hesitate to contact our Office at (609) 850-8284. Our office is available seven days a week for your convenience as we understand that criminal and traffic matters are not limited by typical “working hours.” So call today for your complimentary consultation with an attorney. The Bordentown Municipal Court is shared by Bordentown Township and Bordentown City and is located at 1 Municipal Drive, Bordentown, NJ 08505. The Court Administrator is Suzanne McCanney and the court can be reached by phone at 609-298-2802 or by Fax at 609-291-9324. The court’s Hours of Operation are Monday through Friday from 9:00 A.M. – 3:00 P.M. 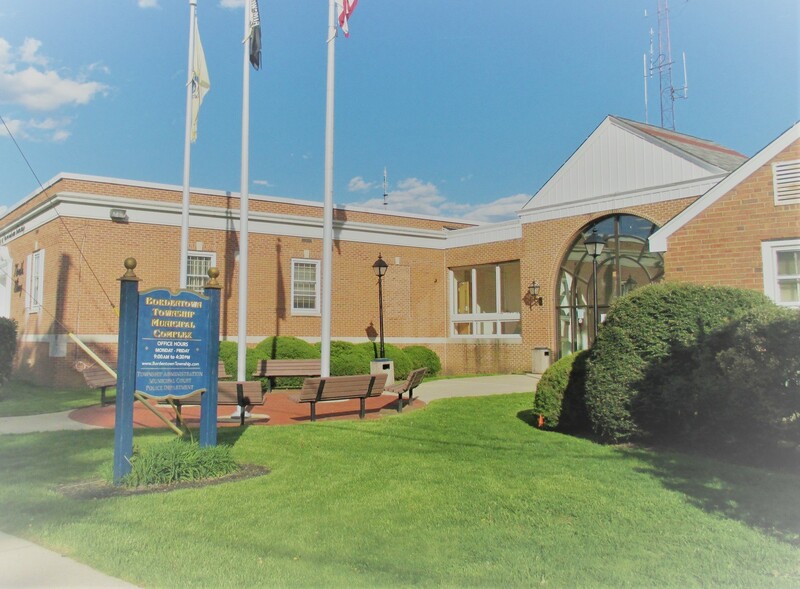 The Bordentown Municipal Court is in session every Wednesday at 9:30 A.M. and 1:30 P.M.
Any misdemeanor criminal offense or traffic violation that occurs within Bordentown, New Jersey, will fall under the jurisdiction of the Bordentown Municipal Court. For example, if you are pulled over for Driving While Intoxicated or Speeding while driving on Route 130 in Bordentown, then you can expect to have a court date with the Bordentown Municipal Court. Depending upon the type of offense, you could be facing up to six (6) months in the Burlington County Jail and a license suspension for up to ten (10) years for just one traffic violation! Obviously, the Bordentown Municipal Court is not somewhere that you can simply walk-in and walk-out of. If you or someone you love have been arrested and charged with Driving While Intoxicated, Shoplifting, Simple Assault, Harassment or Driving While Suspended then call the Bordentown Attorneys at Proetta & Oliver. Former Trenton NJ Deputy Attorney General, William C. Fay, IV, will consult with you about your case. Mr. Fay can be reached 24/7 by calling (609) 850-8284. For more information on the Bordentown Municipal Court, please click here.